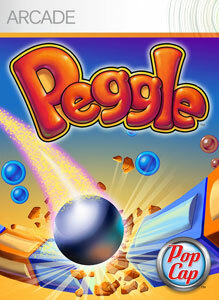 Peggle Nights DLC out now! "Stay up late with the next episode of PopCap’s peg-busting phenomenon and meet the Peggle™ Masters’ nighttime alter egos. Enter a dreamscape world featuring 60 new Adventure levels, 75 new challenges, and befriend a new Peggle Master. Wield 11 Magic Powers, score new style shots, and rack up tons of bonus points. Stock your Trophy Room and prove your Peggle prowess in four game modes including four-player Xbox LIVE® multiplayer play. It’s Extreme Fever under the silver moon... catch it in Peggle Nights today!"